It never fails that once spring hits and the weather finally warms up, people start thinking about how they’re going to cope with the heat. All too often folks find they need to update their window units, get a few more of them, or look into buying one for the first time, which is where things can get tricky. Instead of rushing to the store and buying something cheap but inadequate, it’s far better to do a little research first and discover which new air conditioning model will give you the most bang – and relief – for your buck. Living in a small space has some advantages in terms of heating and cooling. Typically one or two window units are more than enough to cool small apartments and homes. Cooling smaller areas also costs less because such rooms can easily get by with smaller units. 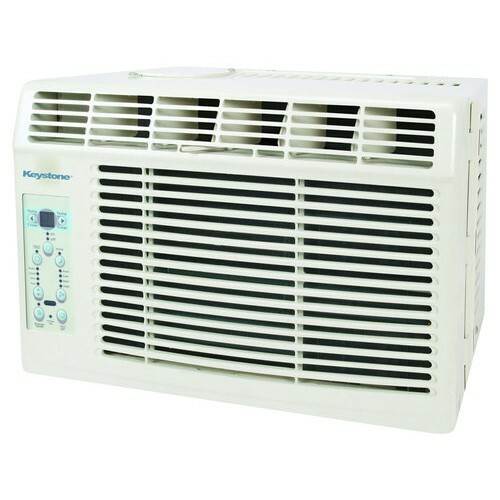 This is where you need to take a look at what BTU is best for your space because there’s no need to over-spend on an enormous air conditioning unit when it packs too much power for your space. If saving money and going green are important factors, take advantage of this unit’s convenient energy-saver mode. It still cools efficiently but operates with limited energy consumption. Sleep mode, another outstanding feature, keeps you cool at night, when you don’t necessarily need to set the temperature as low. The unit features a timer too, which gives you complete control over when the air conditioner comes on and turns off. In the heat of the summer, for example, you can set your window unit to turn on an hour or so before you get home from work. In terms of upkeep, installation and maintenance are effortless. It lets you know when to clean the filter, which is easy to remove – always a plus – and you can adjust the airflow easily. Best of all, the included kit makes DIY installation a breeze (pun intended). At first sight, the Frigidaire FRA065AT7, with its 6,000 BTU, seems like it’s made for smaller places just like the Keystone KSTAW06A. However, it’s powerful enough to cool medium-sized rooms such as living rooms, bedrooms, and kitchens. That’s due to its direction control, which allows airflow in eight different directions. The unit is still compact, though, easy to install, and features two speeds for fan-only cooling. 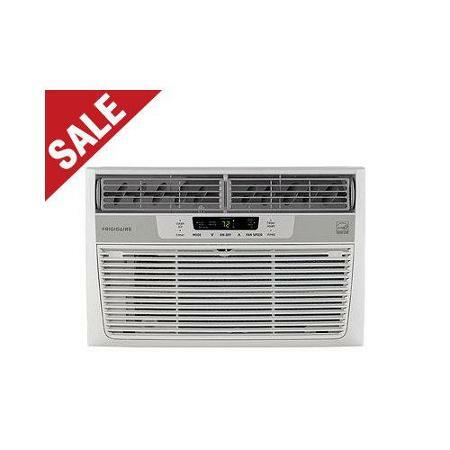 In addition to keeping you cool, this Energy Star-certified air conditioner ultimately saves you money. It can actually improve your health as well. The filter is antibacterial and thus reduces airborne debris and particles, dander, dust, bacteria, and even bad odors. For effortless installation, the Frigidaire unit comes with a kit. Because it’s a mini conditioner, it’s sure to fit in most windows. Fortunately, as well as being easy to install yourself, the quick install kit is pleated. Not only will it look attractive in the window, but also the pleating helps tremendously with sizing. It clocks in at less than $200, and while it only tends to get 4-star reviews, its price and the convenience of its remote help make it a top choice. Smaller than the newer modern version, this is a Keystone with 5,000 BTU. Don’t let the fact that it’s made for small rooms of 150 square feet stop you from considering it, though. It’s true that big things come in small packages, especially when you’re talking about A/C units. In addition to three cooling and fan speeds, a 24-hour timer, and an energy-saver feature, it typically only costs around $165, making it an affordable pick. What’s really cool about this model, however, is its remote. It has a “Follow Me” feature that senses the temperature of the room and lets you set a new one. It goes so far as to save your settings with its auto-restart function, so once you find a temperature that feels perfect, you don’t have to fiddle with the unit every time you turn it on again. Furthermore, with three temperatures each for both the cooling and fan settings, you’ll easily find your sweet spot temperature-wise. Thanks to a filter alert that lets you know when it needs cleaning, maintenance is a snap. The filter itself is mesh, which purifies the air and makes this is a healthy choice as well. For further ease, this Keystone model comes with its own installation kit. Using the kit is generally a better option than simply installing the unit by itself. You can tailor it to the shape and size of your window for full stability. 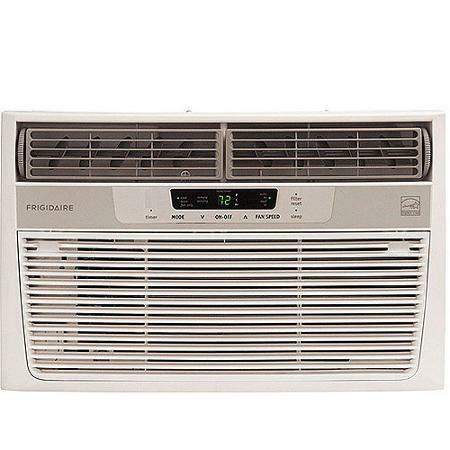 With 8,000 BTU, this Frigidaire is the right pick for mid-sized rooms of around 350 square feet. It earns a solid 4 out of 5 stars from most reviewers and the price – between $239 and $289 – is fair for what you get. This unit is practically made for anyone who lives near busy roads, in bustling cities, or even in the open country – not because it’s loud, but because of its special features. The way it works as a dehumidifier helps it retain its high marks – it has an efficiency of up to 1.7 pints an hour, so it deals with heavy humidity quite handily. More to the point, the air filters and the clean air ionizer on this unit take care of dust, pollen, pet dander, and plenty of additional impurities. It even reduces unpleasant smells. Having a bacteria- and debris-free home that smells fresh and feels exquisitely cool is well worth the price. Besides, after the initial cost, the Energy Star unit saves money during the sweltering months. 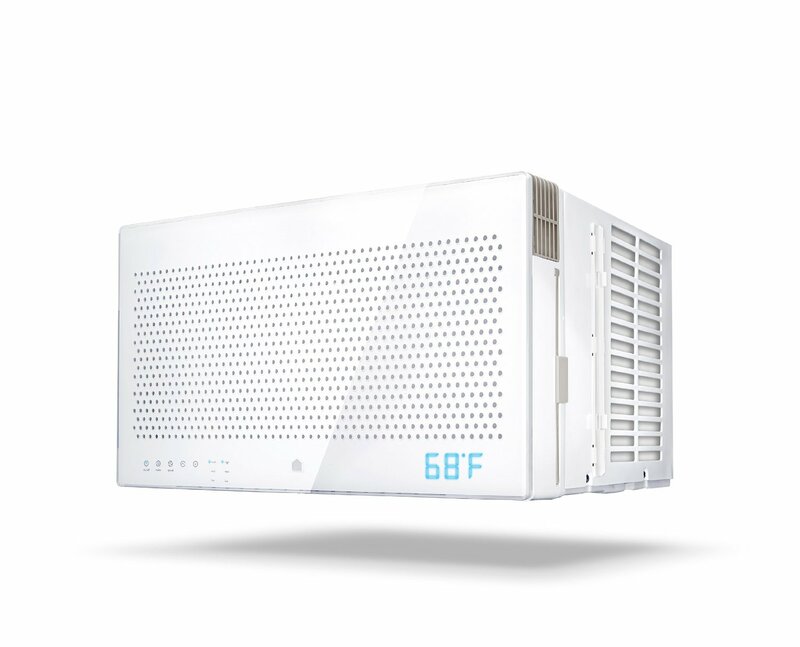 The direction control goes in eight directions, making this one of the more versatile air conditioners you’ll find. An extra long cord and a mounting kit allow you to install the unit in nearly any window. The installation kit features pleating for quicker, easier mounting as well. For the cool cat who enjoys beating the heat and playing with the latest high-tech gadgets, Quirky + is the obvious choice. This innovative unit is a smart one. It turns itself off and on, though it all depends on where you are – because it uses GPS. It will learn your habits and study your patterns, then work accordingly. It’s also self-optimizing, so it saves on energy and power. It’s nice to know that when you need to keep cool or want to cool down your home before you arrive, there’s an app for that. After you schedule the unit to turn on and off a few times, it figures out your patterns. That’s convenient if your home tends to get hotter during certain times of the day, if you want to come home to a cool house in the evening, or if you’re tired of getting up in the middle of the night to mess with the temperature. The Aros also makes installation fast in several ways. To begin with, the unit has retractable wings. It even has all the installation hardware necessary to get it safely nestled in your window. Though it’s a small 8,000 BTU unit, it packs more than a little punch. 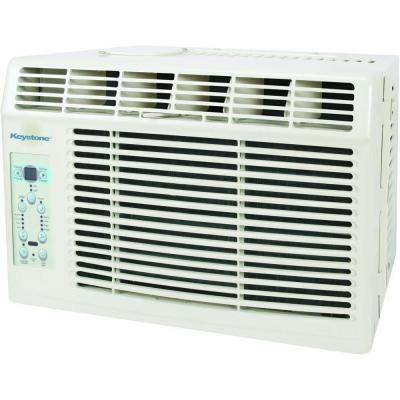 Better still, it’s inexpensive for such an innovative A/C, typically costing around $279. Clearly, there are air conditioning units for every possible budget, space, and need, even if you want to become a little greener or quickly cool a spacious room. Think about what you can afford, what you really need, and what will make you most comfortable. Remember, you won’t need a huge unit in a small apartment, so you have plenty of options.